Blackheads have many causes. Some of these causes can be controlled and some can’t. Care must be taken to ensure that any remedies used do not make the problem worse. Natural products, like homemade masks, are gaining popularity among people who want long-term blackhead control. Blackheads are a form of acne, which also includes pimples and whiteheads. These three types of skin lesions generally have the same cause, but they form in slightly different ways. To understand what blackheads are, it is important to understand the other forms of acne as well. It all begins with a clogged pore. As old skin cells die and are replaced with new skin cells, they mix with oil that comes from pores. When the pore gets completely clogged with this mixture of dead skin cells and oil, a whitehead forms. Whiteheads tend to eventually get infected. The resulting swollen, pus-filled lesion is known as a pimple. When the pore is only partially clogged, oil continues to come to the surface of the skin from the pore. Oxygen from the air reacts with a skin pigment, melanin, that is found in the oil and dead skin cells. This oxidation of melanin is what gives blackheads their dark color. Blackheads generally don’t turn into pimples unless the pore becomes completely clogged. Heredity: There is some debate surrounding this, but there is also some evidence to back it up. Medications: Steroids, barbituates, DHEA, lithium, bromides and iodides are included among the pharmaceutical culprits. Overuse of cosmetics, lotions, sunscreens and other oil-based skin products, including homemade masks with an improper oil to absorbent ratio, can contribute to blackhead formation. Medical conditions such as stress, PCOS and PMS are natural causes. Shaving and other activities that cause skin irritation can stretch the pores and cause blackheads. The spike in hormone production during puberty can cause blackheads in boys and girls. Excessive sweating causes the pores to go into overdrive, which in turn can make clogged pores more common. Nothing can really be done about heredity, excessive sweating or puberty, but some of the other common causes of blackheads can be controlled to some degree. If medications are a possible cause, an acne sufferer can talk to his doctor about alternative medicines that are easier on the skin. Sometimes cutting the dosage of problem medications can stop or reduce the formation of blackheads. Avoiding unnecessary oil-based skin products may help. Reducing the frequency of application or the amount of these products applied can also help. 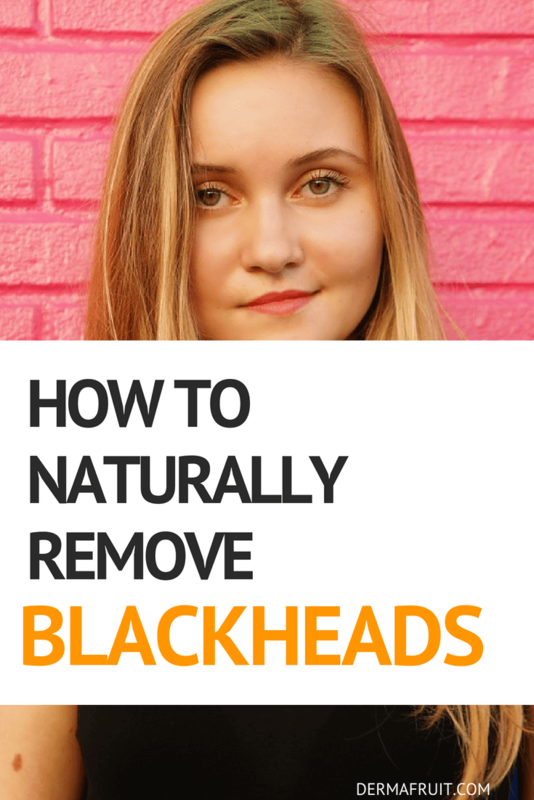 Addressing medical conditions that can cause blackheads is helpful, as long as the treatment of said conditions does not result in the prescription of medications that can cause acne. Being gentle while shaving, washing and doing other things that can potentially irritate the skin is essential to preventing clogged pores and blackheads. Using a natural exfoliator scrub will cleanse the skin and gently remove dead skin cells before they can clog the pores. Since not all causes of blackheads can be controlled, some of the battle is focused on blackhead removal. Any products used should be natural because synthetic chemical products can aggravate the skin and make the problem worse. Nearly all chemical-based blackhead treatments found on the market today contain alcohol. Alcohol can severely dry the skin and cause irritation that will cause more blackheads. Another ingredient of concern is salicylic acid. This is a strong acid that can dry the skin even worse than alcohol. These two components together can be disastrous for the skin. Products with a harsh chemical base can clear up blackheads rather quickly, but the dryness and irritation that they cause usually create a rebound effect that results in a bigger problem. Since there are no chemicals that are gentle enough to be considered an effective blackhead remover, natural remedies are the way to go. There are several natural blackhead removers on the market, but many of them still contain some harsh chemicals to give quick, and temporary, results. Due to the scarcity of truly natural and gentle commercially available treatments for blackheads, many people are now making their own home remedies for their skin ailments. 1. Combine all ingredients in a bowl and mix well. The result should be a thick paste. If it is too thin, add a little more bentonite clay. If it is too thick, add a little more apple cider vinegar. 2. Apply the paste evenly to your face. 3. Allow the mask to sit on your face for at least 20 minutes. 4. Rinse your face well with warm water. This recipe has no ingredients that can cause dryness or irritation. It can be used as often as needed or desired, but it would be a waste of time and money to use it more often than twice per week. Some people like to use witch hazel as a toner after removing the mask. This can’t really cause any harm, but its usefulness is questionable since the mask itself is actually a pretty good toner. People with naturally dry skin may find that the witch hazel just dries their skin out too much, which defeats half the purpose of the mask. Some also like to moisturize with coconut oil after rinsing the mask off, but this is also unnecessary. The honey in the mask is just as good as coconut oil for moisturizing the skin. The recipe above has been used for years by people who prefer a natural approach to skin care. Each ingredient has a specific purpose and benefit. It is worthwhile to look at each one of them. Bentonite clay – This clay is a natural exfoliant that is derived from volcanic ash. When hydrated, as with apple cider vinegar, it actually produces a small electrical charge that causes it to pull toxins, heavy metals and chemicals from the pores. It holds these toxins, along with the skin oils that it absorbs, until it is rinsed from the skin. It also acts as an anti-inflammatory. This helps keep irritated skin from swelling so oil can drain from the pores. Tumeric – Here is a spice that skin loves. It has anti-inflammatory, antioxidant and antibacterial properties. Apple cider vinegar – This ingredient gives the mask a slight acidity that helps to remove oil, dirt and dead cells from the skin. The acetic and malic acids also have antibacterial activity, which can help prevent blackheads from becoming pimples if the pore clogs completely. The acids found in apple cider vinegar are much more gentle on the skin than the harsh acids and alcohol found in chemical-based blackhead treatments. Many who use apple cider vinegar topically on their skin without other ingredients report that it makes their face feel softer and appear brighter and healthier. Honey – Honey also has well-known antibacterial properties. In this recipe, it works in tandem with the apple cider vinegar to reduce the number of bacteria on the skin. Honey’s high sugar content further reduces bacteria’s ability to multiply. Another benefit that honey shares with apple cider vinegar is its anti-inflammatory properties. As the mask sits on the skin, the honey slowly releases hydrogen peroxide, which can draw oil out of the pores through its bubbling action. This microscopic bubbling also helps to lift dead skin cells into the sticky mask. Honey is the moisturizing component of the mask. The addition of honey makes moisturizing and toning after rinsing the mask off unnecessary. While not all of the many causes of blackheads can be eliminated, harsh chemicals can be avoided. Natural homemade treatments are more gentle on the skin, and can therefore offer a lasting solution for blemishes.